capacities available up to 100 ton. Patented track is available for repetitive high cycle applications. and anchor bolts (where applicable). 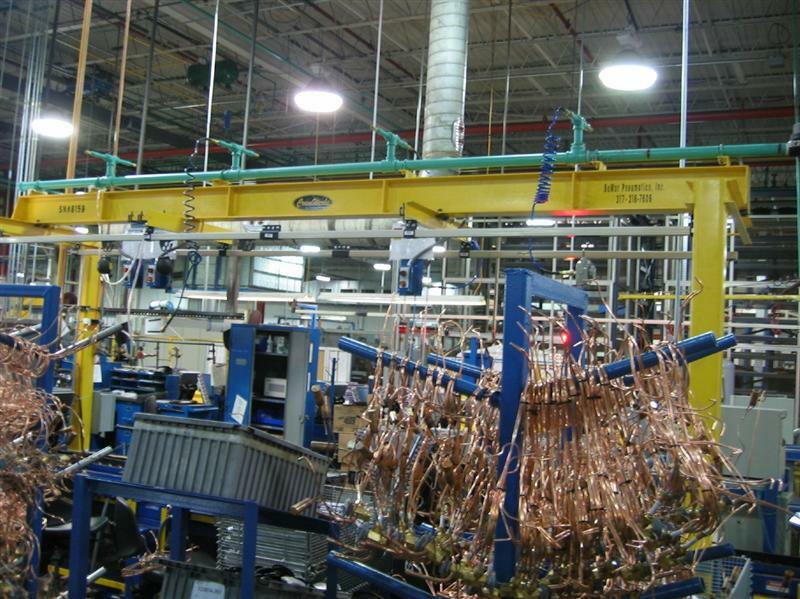 Patented track systems are available for monorails with curves and switches allowing material to move from one section of the plant to another. Monorail spurs are used for transferring loads from one bridge crane to another or from a bridge crane to another area in the plant. Free standing monorails can be equipped with a cantilevered beam on one or both ends of the monorail. 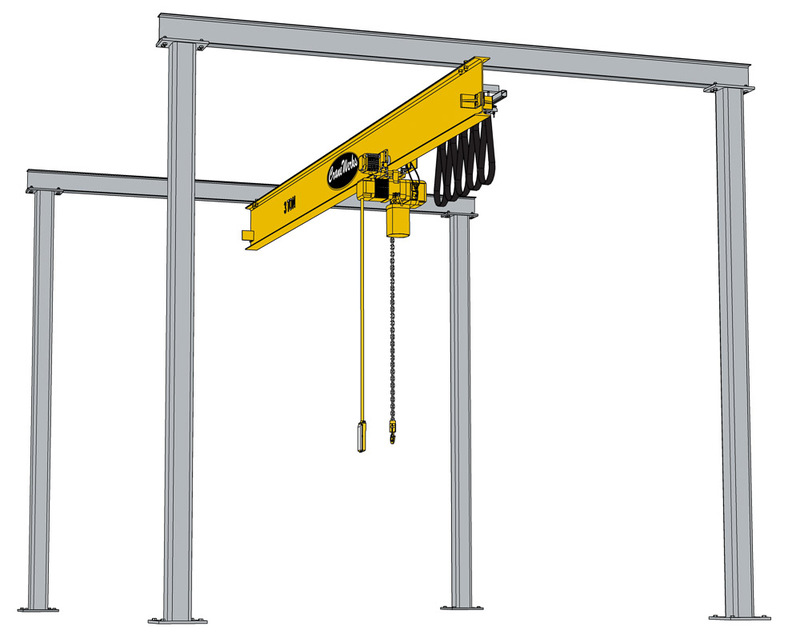 These cantilevers can be used to reach areas beyond the support columns of the system such as over a pit or dock area. Cantilevered supports are also available on free standing monorails when pairs of columns and headers are not possible. 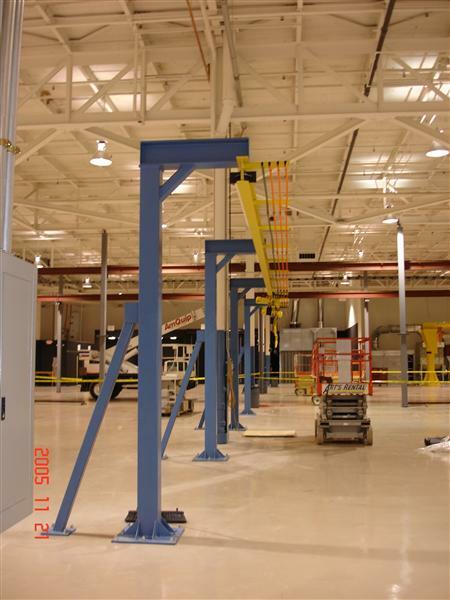 If your ceiling is adequately sized for the capacity of free standing monorail crane you are looking for, you may want to consider ceiling supported monorails to eliminate floor obstructions. Call CraneWerks today, 888-544-2121, or contact us for more information on how Free Standing Monorails can be used to assist you in your material handling needs. 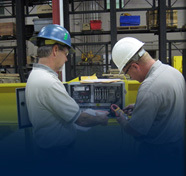 Already know what overhead crane system you are looking for? 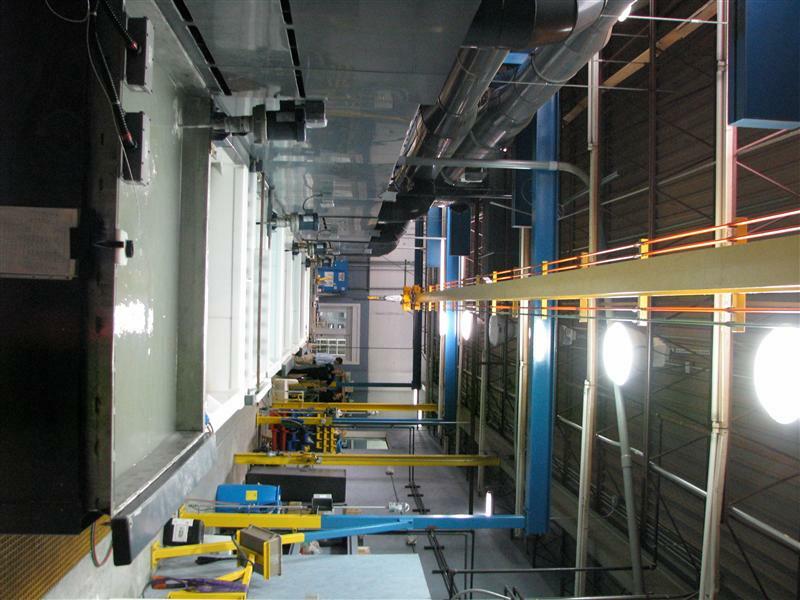 Fill out one of our request for quote forms for a fast competitive quote on your monorail system.